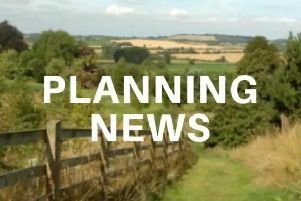 Daventry District Council has announced a programme of family-friendly summer events aimed at keeping children active and entertained through until August. The wide range of activites for children aged five to 12 include weekly Mini-Adventures at Daventry Country Park, and Wicked Wednesday sessions at Daventry Leisure Centre. The Mini-Adventures take place at the Country Park on Tuesdays, July 25 and August 1, 8, 15 and 22. Councillor Alan Hills, Daventry District Council’s community, culture and leisure portfolio holder, said: “Finding affordable ways to keep children entertained during the summer holidays can be a difficult job for parents, which is why we work hard, alongside our partners at Everyone Active, to put this summer programme together. Running from 10am to midday, each session costs £1.50 per person, with different activities each week including nature trails, story-telling sessions and crafts. There is no need to book the Mini-Adventures, participants need only turn up at the Visitor Centre wearing clothing and footwear suitable for the outdoors. Wicked Wednesdays at Daventry Leisure Centre offer fun inflatable sessions in the pool at 12.30pm and 2pm on July 26 and August 16; roller discos in the hall at 1pm and 2.40pm on August 9 and 23; and a Mad Science Workshop at 1pm and 2.30pm on August 2. They cost £2 per person per session and bookings and payment must be made in advance on 01327 871100. Children must be accompanied by an adult during the Mini-Adventure and Wicked Wednesday sessions. For the inflatables sessions, all children aged 7 and under and non-swimmers must be supervised in the pool at a ratio of one adult to two children. Children aged 8 and over must be supervised by an adult at the poolside. The council’s leisure partner Everyone Active is also offering a range of Activity Camps at the Leisure Centre throughout the holidays. The camps offer sports, team challenges and competitions delivered by qualified sports leader professionals at a cost of £14 per day, with reduced rates available for people booking five days. More information about the Activity Camps can be found at www.everyoneactive.com/Daventry or on 01327 871144.